Larvae of many odonate species commonly appear within the same freshwater ecosystem. However, it remains unknown whether there is a dietary separation among the larvae of different species. 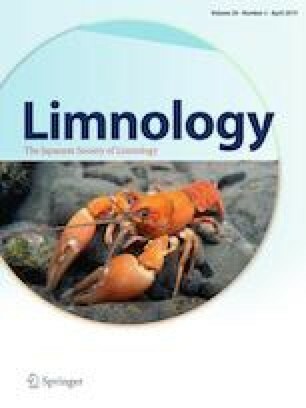 In this study, we collected different species of odonate larvae in different seasons at various sites on the floating mat of Mizorogaike Pond in Kyoto, Japan, and examined the abundance and gut contents of the dominant species. Our analyses showed that habitat and seasonal abundance of the odonate larvae did not significantly overlap between most pairs of the dominant species. Moreover, the degree of dietary overlap was not related to larval biomass in microhabitats. These results suggest that, although larval food habits were similar among species, the existence of various vegetation types on the floating mat allowed many odonate species to inhabit Mizorogaike Pond. The online version of this article ( https://doi.org/10.1007/s10201-018-0564-0) contains supplementary material, which is available to authorized users. The authors thank Drs. Y. Kato and T. Kazama for their encouragement, Mr./Ms. Y. Kimura, Y. Sakai, Y. Matsutani, and M. Fukagawa for their help with field work, and Dr. M. Kyle and two anonymous reviewers for their fruitful comments. We are also grateful to the Preservation of Cultural Properties Section, City of Kyoto, for permission to undertake the research. This study is partially supported by a Grant-in-Aid for Scientific Research (KAKENHI 16H02522).